To be able to use the European Ecolabel, products and services must meet environmental criteria based on life-cycle analysis and set by the European Union, and be independently verified. 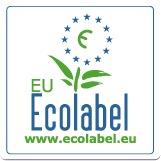 In 2010 more than 1000 EU Ecolabel licences had been issued, 37% are for tourist accommodation, 11% cleaners, 9% textile products. The scheme is managed by the European Commission and regulated in each country by the relevant national authority, for example by the Department for Environment, Food and Rural Affairs (Defra) in the UK. Eco-labeling schemes may cover specific products or services (such as automobiles), product categories (such as white goods) or a range of product categories. Eco-labels can also cover a range of environmental issues including energy and resource efficiency of electrical appliances, reuse and recyclability of packaging or products, chemical content of product, water usage of products, energy or water used during manufacture, pollutants produced during manufacture, or impact of the product on biodiversity, habitats or natural resources. Sometimes eco-labels are specific to one of these, less often they attempt to cover several of them. Sector specific labels apply to one kind of product. For example, there are various labels for ‘sustainable‘ timber, including those of the Forest Stewardship Council, the Rainforest Alliance, and the Programme for the Endorsement of Forest Certification (PEFC) Council. Similarly there are labels for tourist accommodation and computer and information technology. European Energy Label – white goods in the EU are required to show a label indicating their relative energy efficiency on a scale of A to G with A being the most energy efficient product in its class. Car labels also indicate carbon dioxide emissions. There are also food eco-labels, particularly for seafood that is obtained from a sustainable source. These include labels from the Marine Stewardship Council and Friends of the Sea. Dolphin Safe labels are used for tuna (in US, Europe, Australia and NZ) but these are usually not independently verified and do not mean tuna have been fished sustainably or without environmental damage. Some labels indicate waste disposal options. For example, the Mobius Loop is a voluntary international recycling symbol to indicate that a product is recyclable or includes recycled content (with percentage shown within the loop). Use of this symbol is covered by International Organization for Standardization rule ISO 7000. Green Dot labels indicate compliance with, and financial contribution to, an authorised packaging recovery scheme in some European nations. However, it does not mean that the packaging will be reused or recycled. There are also a growing number of labels related to climate change, including the Carbon Reduction Label, developed by the Carbon Trust in the UK, which shows how much greenhouse gas emissions are associated with the product from manufacture through to disposal; the UK’s Quality Mark labels intended to certify carbon offsets; and the international Voluntary Carbon Standard (VCS), an international certification for voluntary carbon offsets.